The current year’s day of 1st September will be a memorable and a happy moment for all Canon equipment enthusiasts. That day an EOS 7D reflex camera was presented to the whole world, along with three new interesting lenses: two universal zooms, a 15–85 mm f/3.5–5.6 IS USM and a18–135 mm f/3.5–5.6 IS and an L series lens EF 100 mm f/2.8L IS USM Macro. The last device we have an intention to test here. We don’t try to conceal the fact that our interest and our expectations are high indeed and for more than one reason. Firstly the standards themselves are raised very high. 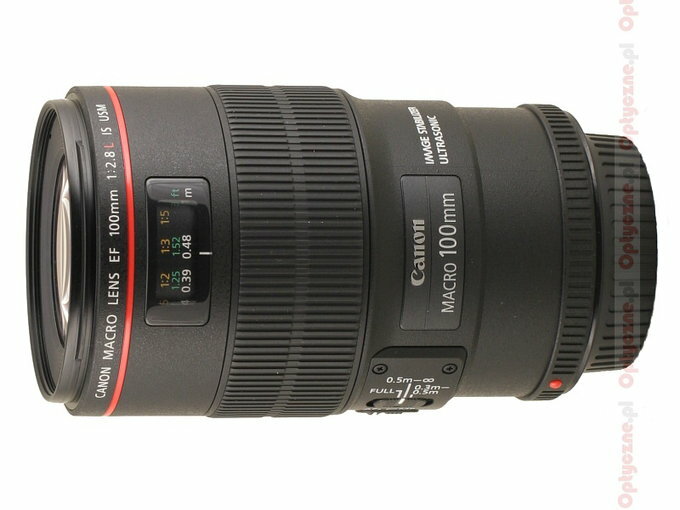 A much cheaper and older Canon EF 100 mm f/2.8 Macro USM fared in our tests very well. An EF-S 60 mm f/2.8 Macro USM , designed for small sensors, performed even better and that fact proved that contemporary macro lenses are instruments which very often reach record-breaking results in our tests. 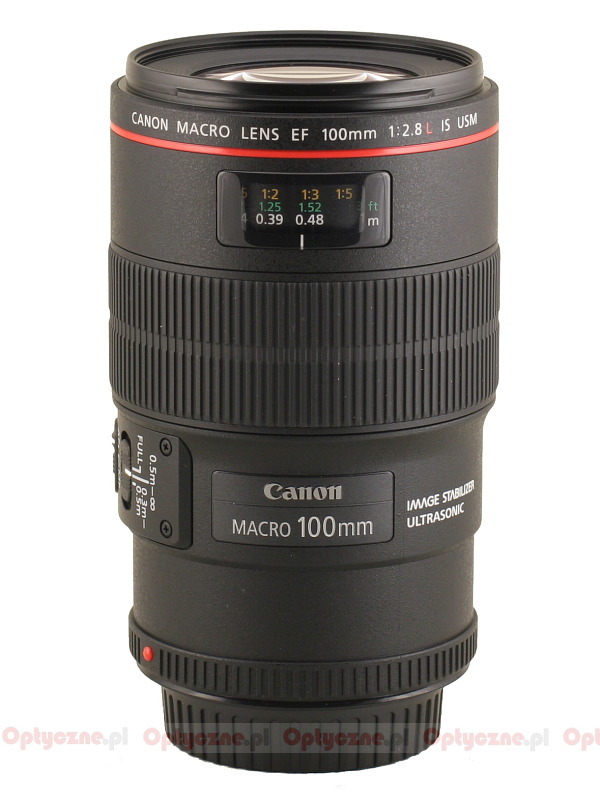 What’s more, the 100 mm macro class is simply stuffed full with rival lenses. Our tests showed that there are no weak players here. After all, in this category we can find as excellent models as a Nikkor 105 mm f/2.8 VR Micro, a Tokina 100 mm f/2.8, a Tamron 90 mm f/2.8 or finally a Sigma 105 mm f/2.8. Small wonder Canon decided to go the whole way. We got an L class lens with an appropriate barrel and build quality, a novel "Hybrid" optical image stabilization system and a silent and quick USM motor. What’s more, the company didn’t go over the top with the price. I must admit when I saw the parameters and this lens’s specification I was almost sure that we would have to pay for it as much as for an 180L Macro (with a longer focal length but lower fastness and lack of stabilization). That’s why the price at the level of 1000 $ looks reasonable enough although the new Canon lens is still the most expensive device in its class anyway. Let’s get down to facts and check how the lens performs in practice. 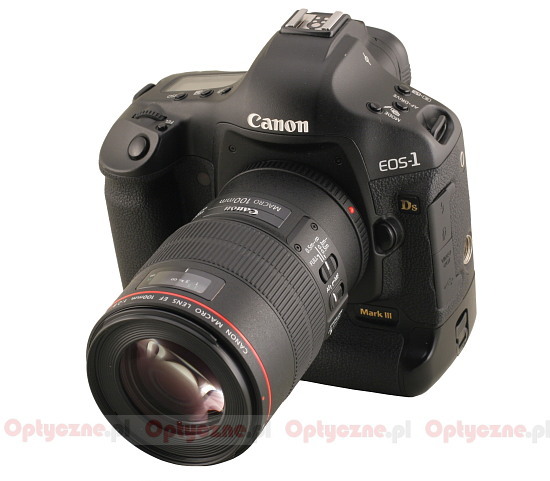 The lens was lend for the tests by the Cyfrowe.pl shop.